The UK Government Department for Digital, Culture, Media and Sport, which is ultimately responsible for the Treasure Act and Code of Practice, has produced a consultation document outlining proposed changes. While much of the proposals are little more than housekeeping there are some material changes that are of some concern. 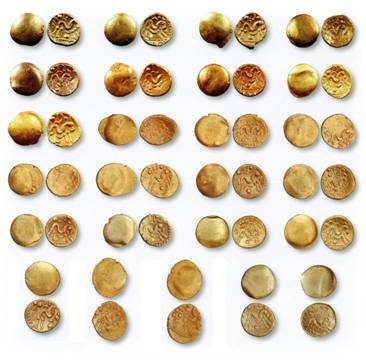 At present, treasure is defined, under the Act, as any object other than a coin, at least 300 years old when found, which has a metallic content, of which at least 10% by weight is gold or silver. And all coins that contain at least 10% by weight of gold or silver that come from the same find consisting of at least two coins, at least 300 years old. And all coins that contain less than 10% by weight gold or silver that come from the same find consisting of at least ten coins at least 300 years old. And any associated objects (e.g. a pot or other container), except unworked natural objects, found in the same place as treasure objects. And any objects or coin hoards less than 300 years old, made substantially of gold and silver that have been deliberately hidden with the intention of recovery and for which the owner is unknown. From 1 January 2003 the definition of treasure was extended on prehistoric (i.e. up to the end of the Iron Age) finds to include all multiple artifacts, made of any metal, found together and single artifacts deliberately containing any quantity of precious metal. There is also a proposal to impose a legal duty on the acquirer of a possible treasure find to report it and to impose a presumption that acquired treasure finds were found after the Treasure Act. This is fraught with difficulties. Under the Treasure Act rewards are split equally between finder and landowner (unless there is a different agreement in place) so will private acquirers report potential treasure if they stand to lose half its value if it is declared treasure? Potential treasure items were being found for 25 years before the Treasure Act, so assuming half of today’s find rate, that amounts to some 12,000 exempt treasures somewhere, many probably in inherited collections. The presumption of found since the Treasure Act seems contrary to English Law – innocent until proven guilty. Does the acquirer take the seller’s word for when the item was found? It is often impossible to PROVE when and where an item was found. Surely it is up to the State to prove it was found after the Treasure Act. The findspot is held up to be vitally important but in these cases, it is likely to be erroneous or completely lacking, so what is the point?